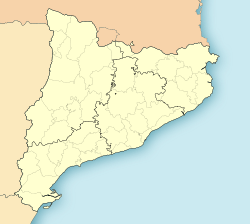 Argentona is a municipality in the comarca o the Maresme in Catalonie, Spain. It is situatit on the sooth-east side o the granite Litoral range, tae the north-wast o Mataró. The toun is bith a tourist centre an a notable horticultural centre. A local road links the municipality wi Cabrera de Mar an wi the main N-II road at Vilassar de Mar. The toun centre haes biggins in a wide range o styles. The late gothic kirk o Sant Julià wis restored bi Josep Puig i Cadafalch. The same airchitect designed Casa Gari, a private residence adjynin the chapel o Sant Miquel del Cros, a wirk in the style o Antoni Gaudí bi Lluís Bonet (1929). Thare are several biggins frae the 16t tae the 17t hunderyears, as well as the Roman chapel o La Mare de Déu del Viver an the benedictine priory o Sant Pere de Clarà. Thare is an interestin museum dedicatit tae watter jugs, the Argentona Water Jug Museum, in which thare are exhibitit mair than 700 pieces, includin fower ceramic wirks bi Pablo Picasso. Wikimedia Commons haes media relatit tae Argentona. This page wis last eeditit on 11 Mairch 2018, at 12:48.